This is a 9” BFD Vixen Plunger with a blue insert and pearly blue / pink / gold Dragon Skin. 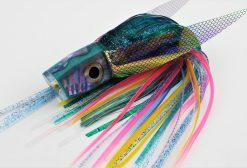 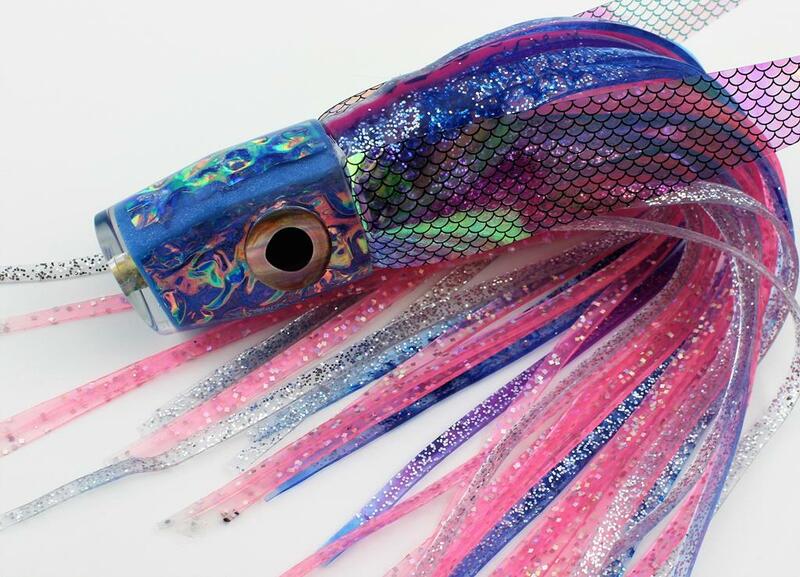 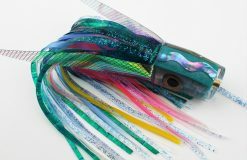 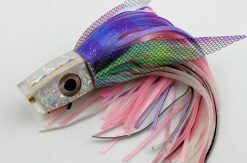 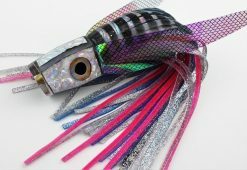 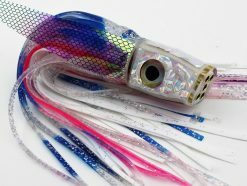 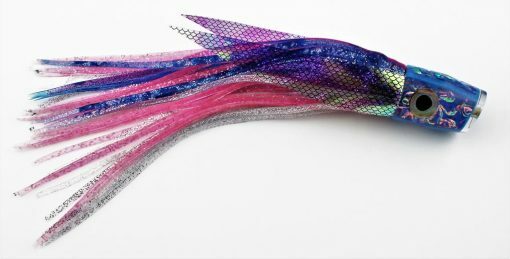 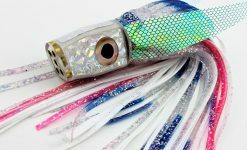 This beauty is destined for island fishing where pinks and blues rule! 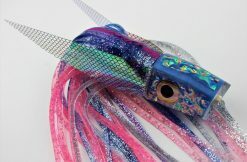 You can see in the photos that this color of Dragon Skin is just awesome with all the texture and color flashes blue to pink on both sides and the top of the head. 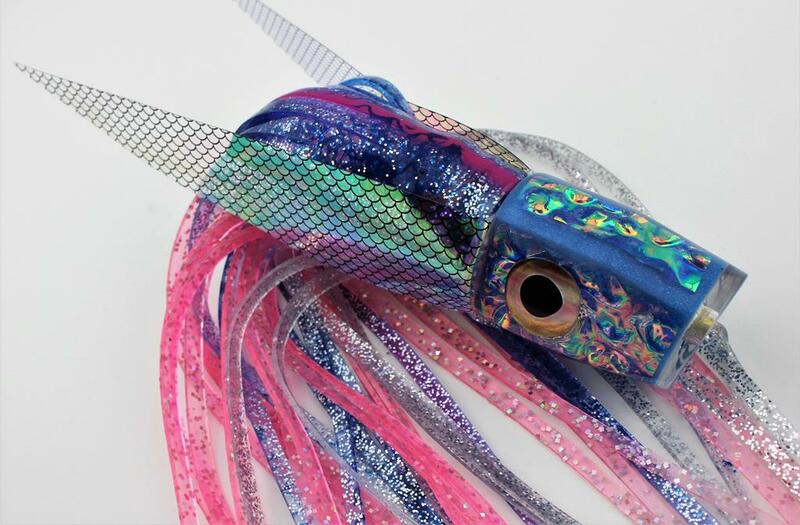 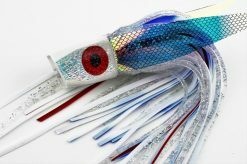 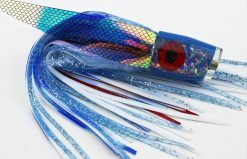 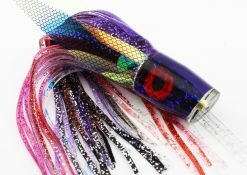 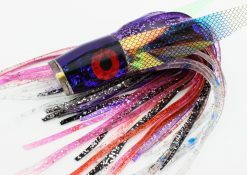 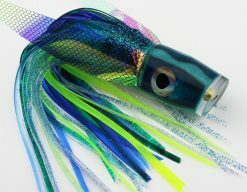 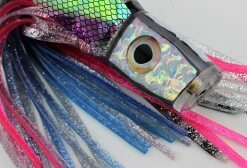 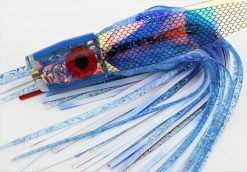 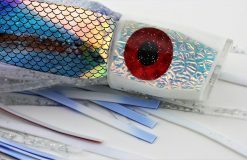 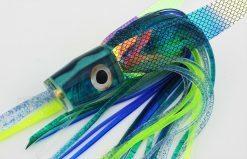 This lure also sports Real-Life Taxidermy Style fish eyes and a classic U5 combo along with shimmering WINGS!